Born in the DR Congo and spending much of my formative years in the interior I then moved to West Africa during my late teens. I was exposed to the bigger world from an early age that opened my eyes to the impossible being possible. Where the constraints of manufactured everyday ‘normal’ life clashed with the real world of endless adventures if one chose not to be driven to think or act normally. Problems that we face are never there to prevent us from moving but often are intended to broaden our thinking processes, to stretch us to explore, widen and spread our boundaries of thinking. I rarely choose to accept what I see as the only possible solution or even the best one. There are always more possibilities and solutions. I am an engineer, rarely constrained by tables, lists and figures but, creatively seeing problems as options and challenges. Sometimes failure is the window to other possibilities, sometimes it’s a window to more failures but endless learning and progress. Keeping it simple is a way of life. Reducing rules to principles opens up new avenues with less constraints. Nicknamed by colleagues and friends as KISS (Keep It Simple Steve) because often my ideas, techniques and designs are simple and straight forward. This is clearly shown in the shuttering system I now promote and use, where no tools are required to assemble and disassemble. Practical application played an important aspect throughout my education. I needed to know how useful something would be. You may often find me studying something and working on simplifying the design, reducing it back to its basics before redesigning it again. Environmental issues, people watching, reading, planning, designing, adventure, photography, motorcycle travels to far off places and human injustices are some of the things that fill my mind….not necessarily in that order. 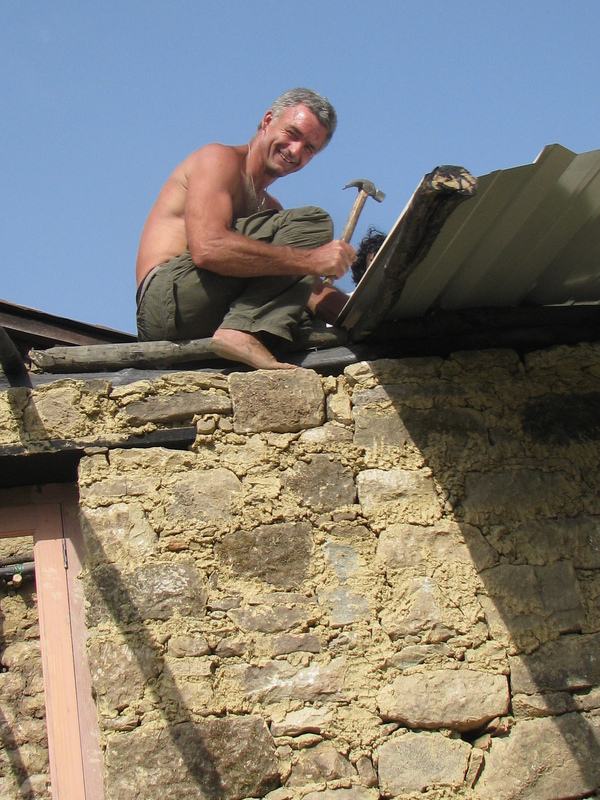 I involved myself in environmental construction, specifically Rammed Earth and Bagged Earth techniques, while working in India providing shelter, water and sanitation after devastation by landslides caused by agricultural erosion and unusually extended monsoon rains. With material costs being excessively inflated and the vulnerable exploited, I turned my attention to alternatives. I stumbled across this rammed earth technique and saw the potential in it to address many of my concerns, my frustrations and walk my talk on environmental construction. It is a work in progress, a journey, with the road exposing itself corner by corner. My hope is that this website with its contents, my training, workshops and its information becomes a catalyst to motivate, encourage and empower visitors who just browse, copy or engage here. I will be uploading photos, articles, testimonials, projects, problems and solutions to help the readers on their journey. This web stuff is all new to me, so any helpful hints would be greatly appreciated. Editing is mandatory. I want to give credit to Nomita Khartri a good friend and critique who has been a great inspiration to me and was the one who 3 years ago told me to get a web page up of my work. Well my first post has happened. All web design and its name is credited to her.